Ed and Angie are a team in every sense of the word. 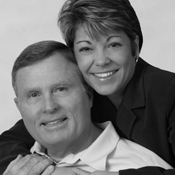 They have been happily married for 32 years and have worked together for over 27 years establishing three companies that are thriving today. But perhaps their greatest team effort started 11 years ago when they began working in the premarital counseling ministry at Saddleback Church and quickly became passionate about strengthening and enriching marriages. This eventually led to them researching and authoring the premarital program that is in use at Saddleback Church today and numerous Southern California churches. They have also presented these materials internationally to couples in the Philippines, Singapore and Russia. After working with hundreds of couples, they have discovered the secret to a successful marriage.